This thing has really nothing to do with listening to the music but comes directly from the Raspberry features or, as in this case, the lack of them: an on-off button is missing, and in my project this situation is unacceptable :-). For the sake of clarity, when I say ‘off’ i really mean to put it into a halt state, where even if the linux Kernel is off the board is still powered and capable of rebooting. To manage a complete power off I would need some additional circuitry, maybe I will add later, for now halt is enough. Ok, my prototype web radio player seems to work as any modern device will do: through an app on your smartphone….which is cool, but somehow ‘suboptimal’ (or so I think) for a kitchen radio that should be operated quickly with dirty or wet hands: I want the radio controls back. And, besides that, I really love buttons and knobs. 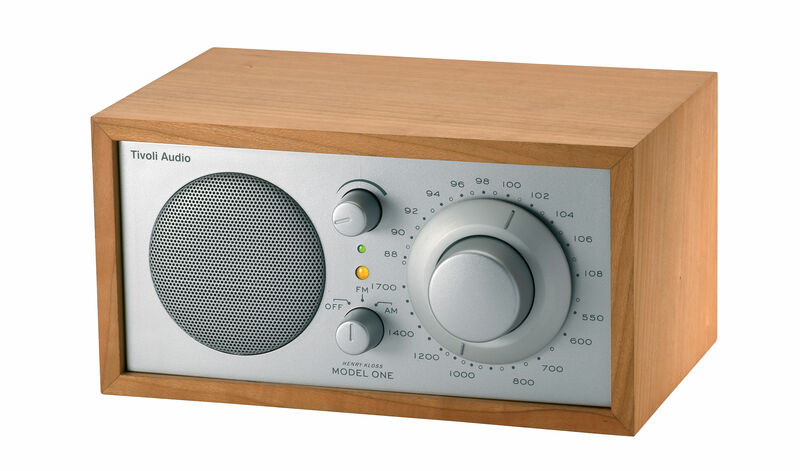 I have an old Tivoli Model One radio in my small kitchen. Cool design, great sound, but after years of good and loyal service it has developed a serious issue: tuning has become very unstable and searching for a specific radio station is now a nightmare. Sometimes touching the central knob is enough to lose the right frequency. Some days ago, while wandering on the Net, I came across an interesting video about two guys starting a car’s engine through a smartphone. Besides the obvious hardware wizardry, I was very attracted by the cool looking app they used to connect to the system: this was the very first time I heard about Blynk, an OS project aimed at building IoT app in a very easy and intuitive way. Or so they say. I couldn’t resist such a promising declaration, so I checked out the ‘Docs’ section on the Blynk website: apparently, assuming you already have one of the more than 400 supported boards, your first Blynk app could be up and running in a matter of minutes….is it that easy? Short answer: it is that easy. It’s summer: time to leave the keyboard and go play outside! After some googling (and after realizing that an FPV Multicopter is currently completely out of budget) I’ve decided to give a try at KAP, or Kite Aerial Photography. The idea is pretty easy and not new: just append a camera below a kite and take a snapshot. According to Wikipedia, the first known KAP session dates back to the nineteen century, thanks to Arthur Batut, a french photographer who’s been a pioneer in aerial photography. Disclaimer: as it can be easily found by googling around a bit, I work for IBM. The following article, however, express only my personal views and opinions and doesn’t represent in any way those of my employer. Moreover, it is not intended to be an exhaustive technical description of Bluemix (there are official docs available covering the topic) or a part of it, but just a summary of some experiments I did with the platform…enjoy! During the last few days I spent some time playing with Bluemix, the latest Cloud Platform offering from IBM. I was curious to discover what it really is beside the usual announcements and what can be accomplished by using it, so i rolled up my sleeves and gave it a try: the following is a half-serious account of my journey in the Wonderful World of The Cloud. Please note: this is not intended to be an exhaustive guide to Bluemix or to a part of it and, to be clear, currently I’m not working as a developer (no more after about one decade of code writing), so maybe some concepts that are quite new to me are part of common knowledge among more technical guys.